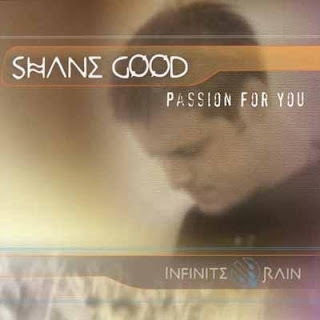 Forged in the fires of extended evangelistic and worship outreach to students in Germany, Holland, Switzerland, France, and Italy, Shane Good's instinct for writing accessible, contemporary songs of worship that bridge cultural gaps has been honed to a fine point. 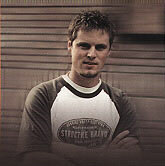 Based on acoustic guitar and piano, Shane's collected songs on Passion For You range from intimate celebrations of the goodness of yielding to the Grace of Christ ("Surrender", "Passion For You") to paeans of God's Glory ("Holy Are You, Lord"), to impassioned appeals to the Lord to reveal Himself anew in His Power ("We Are Yours", "Passion For You"). Electric guitars, mandolin, bass, drums, and keyboard beds support the rhythmic and arrangement ebb and flow of the music as it moves across the spectrum of worship expression, and Shane's mellifluous voice communicates the emotional gamut that accompanies that movement. Passion For You is a welcome addition to the growing contemporary worship revival.